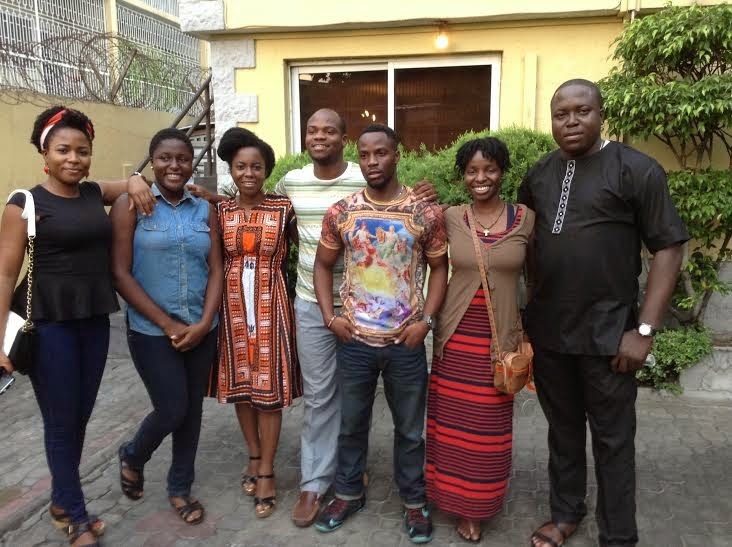 My cousins came to visit us in Nigeria, after 15 years of being away. A total of 5 siblings left, the youngest being 2, and the oldest, 13. Three of them came to visit, and they ranged from 17 years old to 26 years old. It was really fun hanging out with them, but that I am not ready to bore you with the details of our fun, in this post. I want to mention one or two lessons I learnt from hanging out with them. Of course, they were shocked about how much Nigeria had changed, positively and negatively. Immediately they came, I started feeling for them because NIDs receive their welcoming shockers right from the international airport, talk less of those that have no idea of what Nigeria looks like. Apparently, my three cousins, out of habit, carried their bottles and popcorn packs to go and dump in the trash, while every single person in the hall, including me, left ours where we had sat during the movie. One of the boys said “We are the only ones packing up. Everyone will know we are not from around here,” in his American accent. They started looking around for trash cans as we walked out of the viewing room, but they did not find and until we got out, towards the ticket sales stand. I tried to cover it up with smiles and senseless talk of how the cleaners will come and pack it all up, and they shouldn’t have bothered packing up, but inside of me, I was ashamed. These guys were sticking out like sore thumbs, just because they conducted themselves properly in a system where chaos is normal. Two days later, we went to ice cream factory, again to avoid the Jakande-Ajah traffic. We sat outside, under the shade. Three of us had cones, while one had cup. When we were about to leave, instinctively, my cousin took his cup, went into the restaurant, searched for a trash can, dumped it, and came out. It was very instinctive. It had become part of him, so much so that he was not even thinking when he did it. It was quite robotic. I didn’t say anything this time. I just watched and observed him. Earlier that day, we were in front of yellow chilli, and waiting in line to park inside, for about 30 seconds, and then the security guy beckoned on me to drive into the compound, and one car behind us just swerved, and wanted to take my space. Like seriously? He wasn’t even hiding his senselessness. My cousins observed what happened, and couldn’t believe their eyes. To say they were shocked was an understatement. They couldn’t believe a human being with a human brain, and not a goat brain, just did that. I mumbled something like ‘that’s how many people do here o. They said if it happened in the US, everyone will get down from their car, and fish the guy out, lol. At Genesis Deluxe cinemas, two of my cousins waited in line to get our drink and popcorn for the four of us, cos we didn’t think all four of us had to queue. Then a girl came out of nowhere to beg my cousin to get her own drink and popcorn, because her movie was showing. The thing is our movie too was already showing. He, being the Mr nice guy of them all, agreed, and then she brought out like three popcorn and drink tickets. Seriously? He realised she just wanted to use him to cheat her way through the queue, and he was already getting stuff for us anyway. He respectfully declined, and told her point blank that it wasn’t fair for everyone that was on the queue. He didn’t tell me about it until two days later. I then realised that it is little actions like these that form a cascaded effect in setting apart countries like Nigeria from developed countries. Largely, we lack the culture of responsibility, being responsible for things as minor as your trash, staying in line, and respecting other people’s time. In my opinion, this is not a government or leadership problem. This is a system issue. The government doesn’t tell us not to pick our trash, but the system supports litter. We are even encouraged to litter cinema halls and restaurants, while our servants pack up after us. The thing is we all know this is wrong. We travel out a lot, and see things being done properly, and even do things properly ourselves. So we know we have the ability to do things properly. But it sometimes takes us observing people like my cousins to come into this same system, do things different, and watch them stick out like a sore thumb, for us to know that what we are doing is not normal. Even though I bring you no big solution, we can start small by doing little things right, things we don’t need anyone to tell us, things like not jumping queues, not littering roads or public places, not trying to be too smart, not being impatient, not running red lights, etc. If each and every one of us can do this, you will be shocked at how much these little things will go a long way in making a big difference in restoring order to this chaotic system. All kids of two sisters. Same blood, different mindsets. Lmao.I love this article.I just wish that people will be more conscious of this.sometimes I believe some nigerians leave certain vices at the airport and travel abroad and come back and pick up from where they left off.the observation is tremendous.instead of imitating things worth envied some would go to Russia and come back with an American accent. God is watching all of us oh.there is also room for improvement. I completely agree with you. People leave and pick their brains up at the airport. Lol at ur accent statement. Na the naija way. You should see how Cakes and I bicker at the movies or fast-food places. I want to throw things away and he says the waiters or cleaners are supposed to do it. Uggh! And don't get me started on people that throw things out of car windows!!!! The out of car window people are not well-trained. Pardon me. They probably do the same in their houses. Amen to your prayers, and thanks for the compliment. Sorry, but this jakande-Ajah traffic ehn, I did a post on it last month...it's annoying because it's something that can be dealt with. To your oyinbo relations, I say welcome to Nigeria, the country where the abnormal is the norm.....everyone in this country has one way or the other imbibed this "tiny" habits and we don't even bother expecting anything different....true talk why would anyone with a human brain try to jump queue as though the others on the queue have no where to go or why can't we pick up after our selves? The fact that we see it as a norm is the sad part. It is now part of us. I sometimes actually carry stuff back and fort in my bag mostly because there's no waste basket around. Me too. I just can't imagine throwing something on the ground. My car is many times, a converted bin, lol. You are so right, Atilola. Really, they are little things, like we call them but they ought not to be trivialised like most of us do. I hate the 'queue jumping' thingy that happens at ATM outlets the most. Me, I will talk o. Who is the fool? You berra queue. Like Toin, I carry things around too. But in the cinema I always leave my trash, and yes it's become a norm, they actually leave some of the time between movies to clean up before another movie starts. We've all come to accept it. This post got me thinking though. Yes. The thing is these acts encourage a culture of irresponsibility, even though they are not outright evil. Thanks for dropping by. Exactly! I actually leave my gabbage there cuz I know there is a time in between movies when the halls get cleaned. Now I know better though. @ Ema: Yea, we learn everyday. It's not bad, but its not just a good practice. 'The thing is we all know this is wrong. We travel out a lot, and see things being done properly, and even do things properly ourselves. So we know we have the ability to do things properly. '......Like you said, it is the 'system' we live in and sykik captured it well again by saying, in a country where the abnormal is deem normal! Imagine! Chanced you of your parking space and he would be congratulating himself to be smart! Mschew! Like your cuz said, the guy would be fished out! And GOD forbid if he did that to a pyscho, he would be in 6ft by now! and lawyers would call it road rage! Seriously? She wanted to use her girlish charm to make your cuz buy drinks and pop-corn for 3 people? Another smart move she might think huh? mschew! Glad your cuz politely declined. Yea, we had fun. Nigerians can be funny sha. You can imagine. We all think we are smart, and try to outsmart one another. The only thing this kind of practices produces is the crab walk, where no one gains. I'm not quite sure where I stand with this post. *strokes imaginary beard fit for sages*. I get the general underlying theme of the post, but we have to admit that core cultural differences play a huge part in the dissonance. And to be honest, it requires a lot of effort, side eye, tension, etc to be a total upstanding Nigerian citizen. Like Toin, sometimes (depending on quality and quantity), I'll keep trash in my bag or even car in order to dispose them properly. Why aren't trash bins situated within certain walking distances like they are in the US for instance? In some eateries, I wouldn't want to touch their waste bins with a 25-feet-long-stick, best believe I am leaving my plates to be packed! Not to mention that in a place like Mr. Biggs, they almost won't let you finish eating your doughnut before they come at you with their broom and packer. Nigeria is a "big-manist" society. Surely, you are asking for trouble by expecting the SA to the governor to wait his turn in the queue or dispose his trash by himself. Ez nor our culture. You are right. The system, to be honest, even makes the few trying to do right seem stupid. Take for instance a badly mechanised traffic light. What really will it cost the contractors to do these things right? In the bid to do things right if enabling factors are not in place, over time, it may be inevitable to become "one of them". But I guess we should at least try in the first instance....*shrug* let me quit rambling! Lol at imaginary beard. Its a culture issue. The Big man thing has never gotten us anywhere, and it is high time we stop it. I worked in a global network of firms, right here in Nigeria, where u aint allowed to do big man, no matter ur position at work, and guess what, everything goes well in the office. They have one of the best working culture ever, right here in Nigeria. So let's just stop all this big man nonsense. My parents did their part to raise me right. While I was in Unilag, my pastor, Pastor Mofe Tim Grage did his part to train us all too. I want to be a constant representative of Jesus Christ. I want God to be proud when He sees me doing stuff. Yea, I remember Pastor Mofe. I strongly believe in the power of one. I believe with few people like you, trying to be salt of the earth, and light of the world, there is still hope for us in this country. Theses days its funny to me, I don't get annoyed again. I spent all my life in this country & its still amazing to me some of the attitudes that are normal in Naija (although leaving my trash in cinemas aint one of them cos there are no bins inside). But I also agree with honeydame, doing the right thing in Nigeria takes more time & energy and there are almost no enabling factors. Yea, the cinema one was cited cos I actually saw my cousins do it. It won't have been one of my examples on a normal day. And yea, we have very funny attitude, thinking we are smart. I was going to drop a comment saying, it will take a lot for the mentality of Nigerians to change but what you're saying here is it begins with us, it begins with me. I can cause change and that's true. Hopefully, if everyone who read this post makes even if it's a subtle change, there'll be ripple effects around us. After reading this post, i said to myself that i will train my children to do the right thing irrespective of what any other person does. I think if we start educating the younger generation, things will definitely change for the better. I remember going to the MTN store at ICM during one of my visits. I stood and another man was sat in this chair. After a while, he got up and went somewhere I don't know, so I looked at the chair and was a bit skeptical. Wasn't sure if it was alright to sit now or if he was still coming back. Next thing my friend said was, this is Nigeria, we don't wait for them to come back so better sit down. I was dazed. So that means if you leave the line to pick something in the side, you won't be able to claim you space on the line again. I find it really hard to be rude even in Nigeria of all places. Some people want to get past you, they just push you. That drives me crazy. Ugh! I failed a whole generation. What of you?